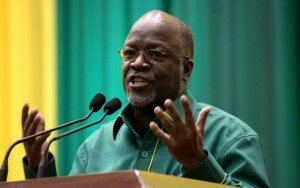 Tanzanian President John Magufuli warned on Wednesday that his government will not provide relief food to lazy people who fail to produce food crops. He said his government will not assist people who needed food relief supplies just because they failed to produce enough food because of their laziness. “The responsibility of the government is to provide social services such as education, health and not relief food for lazy people,” he said. The president said the government has set aside 500 million U.S. dollars to implement construction of a major railway project to standard gauge connecting Dar es Salaam and Mwanza. The government has also plans to buy a new ship with a capacity to ferry 1,000 passengers and 800 tonnes of cargo that will ply in the Lake Victoria, Africa’s largest freshwater lake.